Everything from antibiotics, pesticides, high c-section rates, less time in the dirt, industrial farming and pharmaceutical drugs can contribute to more harmful bacteria in the gut, disrupting our body on multiple levels. 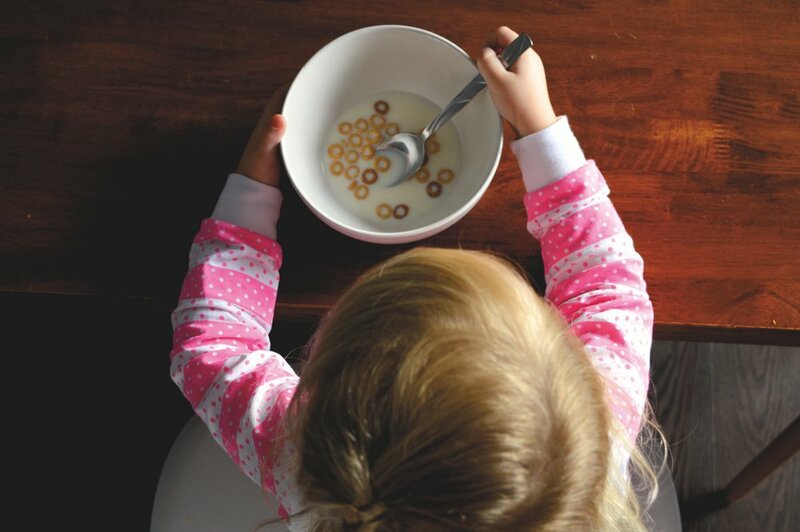 Do your kids gravitate to cereal, crackers and pasta all day long?? Do they ask for sweet snacks over and over until you give in?? It's not their fault. Bad bacteria in our gut run the show on those cravings, and until we can start to balance their gut health, the viscous cycle continues. Let's help them better their gut health! 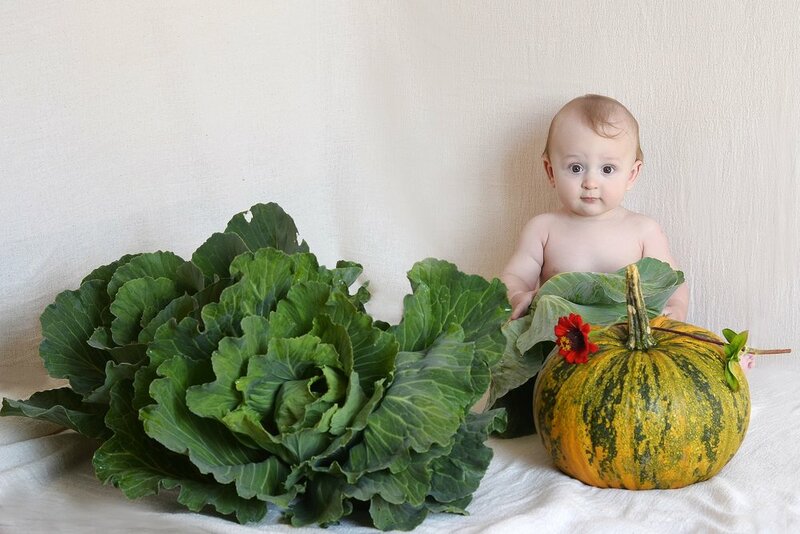 How confident do you feel about the nutrition density of the foods your kids eat?? 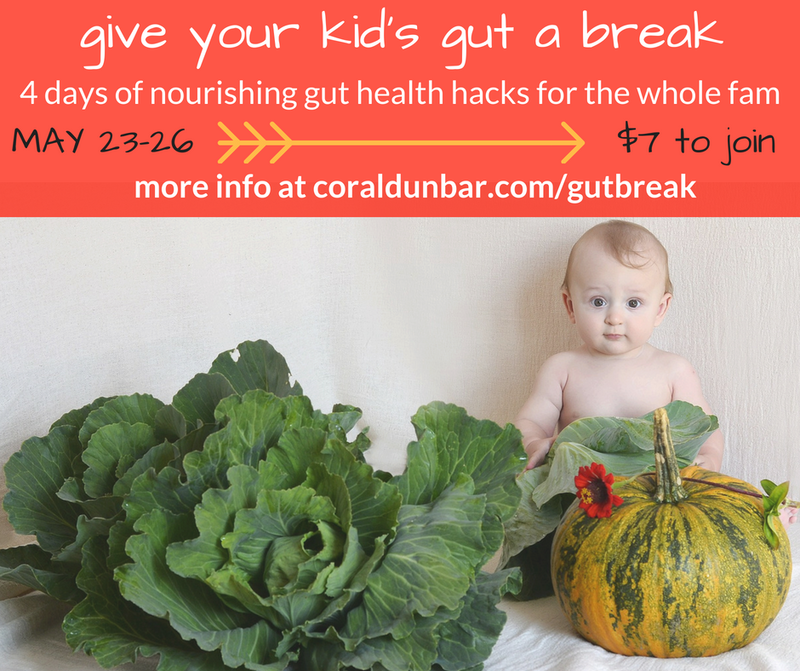 Learn about which foods contribute to a happier gut, and easy substitutions that your kids may love! Even if you can't participate in the challenge live, you will have access to all of this content at your convenience, for just $7! This information will be beneficial to anyone, whether or not you have kids. We ALL could use a gut health reset. Will this help me or my husband out too? Yes, definitely. When I started a gut health regimen for my daughter, I only half followed along and I noticed huge differences in my health. Not to mention it's what finally kicked the stubborn 10 lbs of baby weight that I still had to lose. Will my kids be throwing fits the entire time? I think you will be pleasantly surprised at how well your kids will take to some of these foods, as they are yummy and gut nourishing. You know your kids best, so you will have to gauge how to swap some of these foods with as little breakdowns as possible. This challenge will not fit your lifestyle if you are vegan. We will be introducing collagen to strengthen and fortify the gut, which unfortunately can only be obtained from animal sources (marine animals work if you are pescatarian).